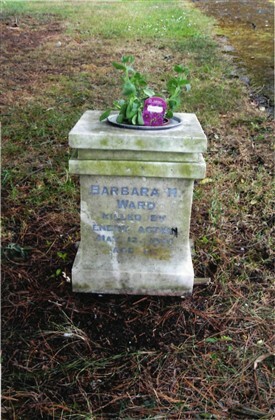 This photograph shows the grave of Barbara M Ward. She was 21 when she died, and her home address was Linden Grove, Beeston. In the second world war, she joined the Land Army. On the night of 12th May, 1941, she was killed by enemy action. At the time, she had been employed on a farm in Cropwell Butler. There's a book called "Beetroot for Breakfast" by John Ward, which has much interesting information gleaned from former 'land girls' in Nottinghamshire and Lincolnshire. But does anyone have any recollections of the Land Army to share here, or any memories of this particular worker? This page was added by Alice Cave on 24/03/2014.